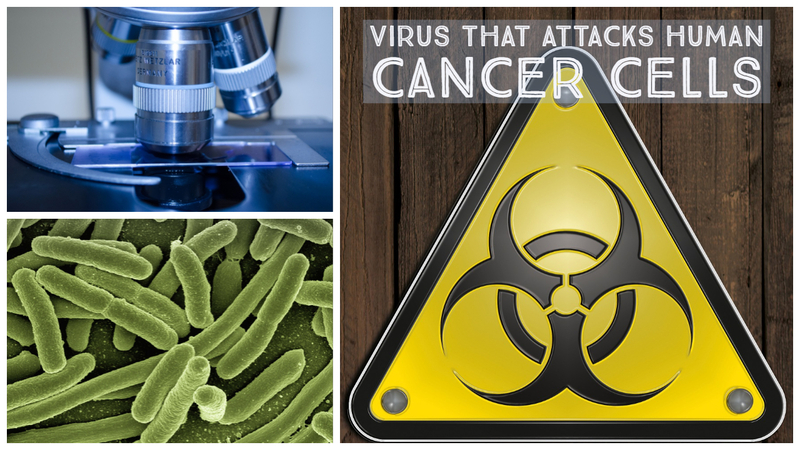 Viruses are usually supposed to worry us, but this is not the case with inoculate viruses: those that infect cancer cells and kill them, ignoring healthy cells. So it is no wonder that the search for such viruses attracts many researchers. This virus also known as Senecavirus, mainly affects pigs and cows, but in recent years, it has been found to be able to selectively attack human cancer cells. Its efficacy in eliminating cancerous tumors while ignoring healthy cells was tested in two human clinical trials - the first in relapsed solid tumors in children and the second in lung carcinoma. The problem was that the experiments also found that the patient's immune system was fighting the virus and effectively removing it from the body within three weeks, thus preventing it from completing its anticancer action. In an attempt to understand how the virus works, researchers at the University of Otago in New Zealand discovered in 2017 that the virus binds to a receptor called ANTXR1, which is active in more than 60 percent of the cancers in humans. ANTXR1, or its full name, Anthrax Toxin Receptor 1, is a receptor that binds to the toxin molecules released by Bacillus anthracis, the cause of Anthrax. It turns out that this receptor appears mainly in human cancer cells, while its second version, ANTXR2, appears mainly in healthy body cells. In the new study, published in the PNAS journal, researchers have been able to understand why the virus is associated with the "sick" version of the receptor. They used a cryogenic electron microscope to see the link between the virus and the receptor at a resolution of only a few atoms. The researchers compared the molecular structure of the two receptors to understand which part of the ANTXR1 receptor allows it to bind specifically to the virus. After taking about 7,000 pictures, the researchers discovered the critical amino acids that link the receptor to the virus, which differentiates between the two receptors. The researchers believe that the new discovery allows us to understand in depth how the immune system identifies the virus. They hypothesize that the area used by the virus to bind to the receptor converges with the region of the virus that the immune system antibodies identify and bind to. A thorough understanding of how the immune system antibodies identify the virus will help researchers make small changes in its structure so that it can continue its anticancer activity without the body fighting it. Such a move may be dangerous, as it will improve the virus's ability to destroy cancer cells, but also produce a virus that is completely resistant to the immune system, and if it builds up mutations, it might become dangerous. Another possibility is suppression of the immune system when treating such a virus to prevent it from attacking it. However, such treatment may harm the ability to attack cancer with the help of the immune system itself, as is currently done practiced in immunotherapy or cancer vaccines, which are aided by the natural ability of the immune system to identify tumors and destroy them. Faced with all these challenges, researchers need to combine creativity and discretion to develop the next drug that will eliminate cancer. Jayawardena, N., Burga, L. N., Easingwood, R. A., Takizawa, Y., Wolf, M., & Bostina, M. (2018). Structural basis for anthrax toxin receptor 1 recognition by Seneca Valley Virus. Proceedings of the National Academy of Sciences, 115 (46), E10934-E10940.